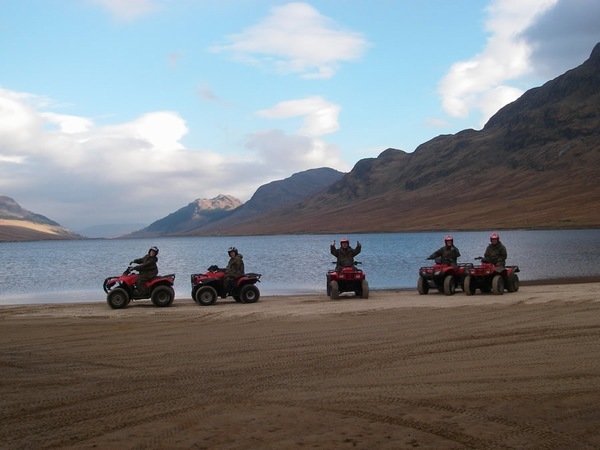 We offer quality, fun off road quad biking trips in The Highlands of Scotland. Our standard quad bike trek is one of the most fun ways to spend one and a half hours of your life and one that you will never forget! 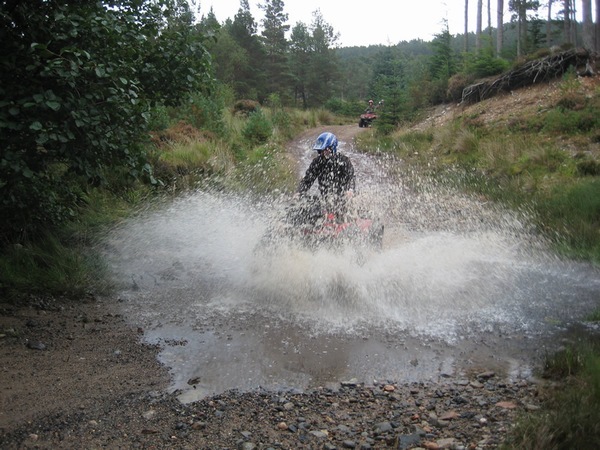 If that is not enough for you and you have been quad biking before of would like to spend more time on a quad bike we also offer a half day quad bike experience that gives you three hours of quad biking. 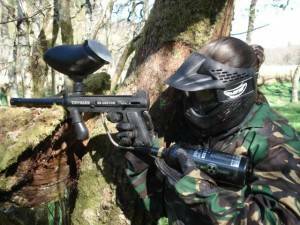 More and more companies are now turning to outdoor activities and adventure sports for corporate days out and team building activities due to the nature of how they work. 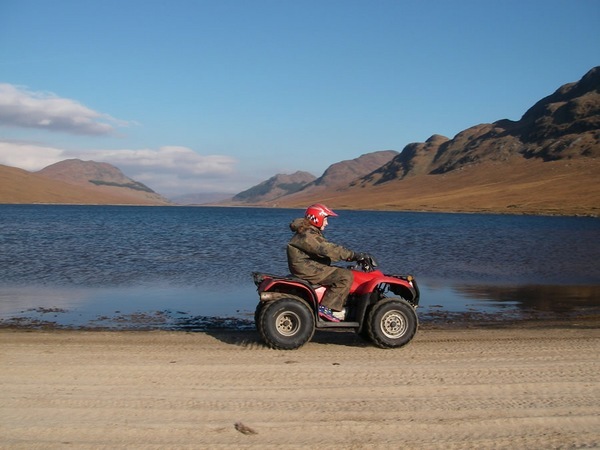 Highland Activities have a wide and varying range of activities available to suit everyone, some competitive, some physically challenging and some mentally challenging and some great team activities that require everyone to pull together that combined with our stunning Highland Location and facilities are simply second to none. So you are either reading this because you are getting married or you are the best man or bridesmaid in charge of organising the stag weekend or hen weekend! What a daunting prospect, we know because we do it all the time! Why not make it easy on yourself and let us organise it for you. We can take care of all of your requirements including daytime activities, travel, accommodation, lunches & meals in local restaurants (or maybe just point you in the right direction of the local chip shop!). 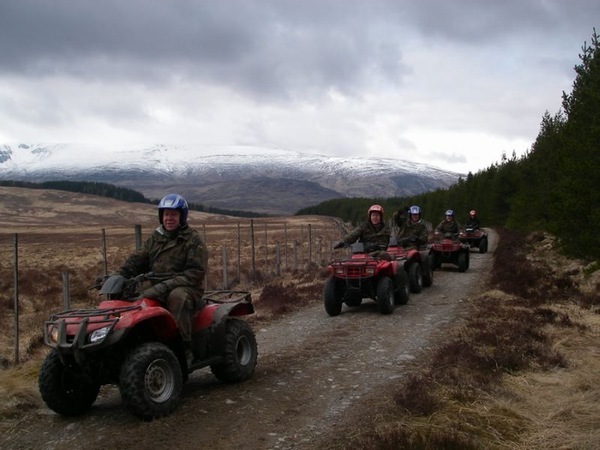 Highland Activities are specialists in organising group activities and entertaining you on your weekend away. We work with quality local partners to provide you with a weekend that you will remember for the rest of your married life! 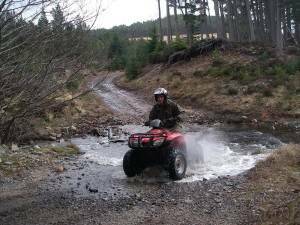 Our quad biking trips are based at Ardverikie Estate near Aviemore in the Cairngorm National Park and Fort William “Outdoor Capital of the U.K.”. 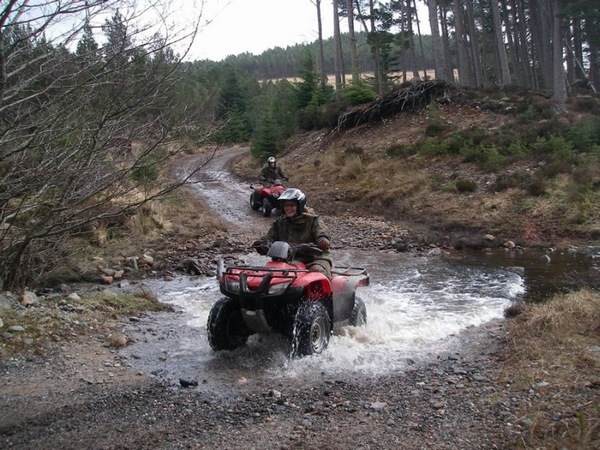 Ardverikie Estate is a beautiful and spectacular highland estate with 60,000 acres of off road terrain perfect for this activity. Ardverikie Estate is better known to many as location for the hit T.V.series “Monarch of the Glen” and it really is like it was on the programme. 4X4 Safari Tour – This trip will take you off the beaten track where other vehicles are not allowed to go. You will see spectacular mountain scenery including rivers, lochans, hills and waterfalls. We will also try and spot some wildlife along the way. 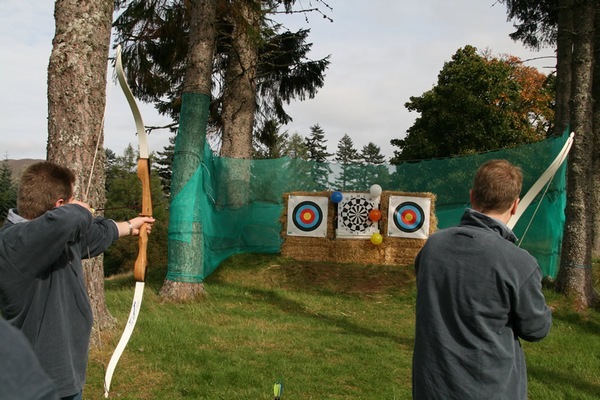 Archery – Fancy a target sport without the guns? Archery is rapidly growing in popularity and requires skill, co-ordination and a steady hand. Tomahawk Throwing – Try your hand at one of the oldest and most skilful forms of hunting known to man. These specially designed throwing axes test your hand eye co-ordination as you try to spin the axes into the various targets. Canyoning - Canyoning is a hard sport to describe but imagine yourself sliding down smooth slabs, swimming through crystal clear pools & abseiling your way down an otherwise inaccessible deep gorge on some spectacular Scottish mountainside, this activity is guaranteed to get you excited! 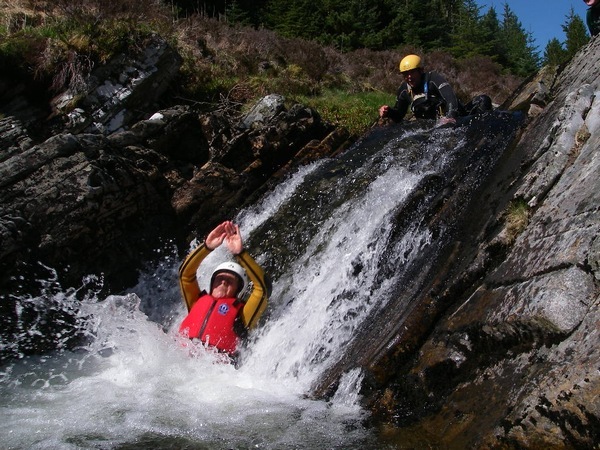 Gorge Walking– Jumping, sliding, scrambling, swimming your way up or down an otherwise inaccessible gorge on some spectacular Scottish mountain side this activity is guaranteed to get you excited.